I will admit that I do not really know what today’s subject, Maison Gerard, does exactly, but I just love looking at what they do. 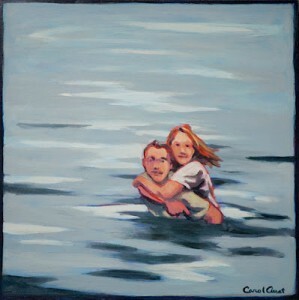 What they do basically is collect, curate and deal fine pieces of art for collectors, designers and the 1% (I gather). It is fun to look around the Maison Gerard website to see what they have and they have some pretty cool things. For example, I like this small Royal Copenhagen stoneware jug I found on their site. 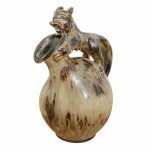 Take a look at the Maison Gerard and see some cool stuff. It has been a while since I posted about a good condiment. In the realm of condiments, I have a weird relationship with mayonnaise. Generally, I don’t use mayonnaise on a regular basis, but when I do it is usually in a restaurant and it is something a little better than the standard jarred stuff. I have found over the years that mayonnaise in a sandwich is pretty blah and a waste of fat and calories, so I usually use spicy mustard or something with a kick. But a good mayonnaise used as a condiment for French fries or something, can be really awesome. The latter being what attracted me to the folks at Empire Mayonnaise. In particular, I want to try Empire Mayonnaise’s “Jubilee Collection” mayo infused with malt vinegar – the perfect companion to French fries I would say – or chips as it were with the nod to the Queen’s Jubilee. By the way, did I mention Empire Mayonnaise has a bacon flavored mayo? 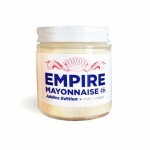 Check out Empire Mayonnaise here. I am going off grid! I have been trying to dial down my hyperbolic tendencies in recent posts, but today I must break out as I believe that my latest find is one of the greatest things I have ever come across in my life: the BioLite Camp Stove. Seriously, the BioLite Camp Stove is a self-contained portable stove that you can use for camping that not only creates heat for you to cook, but also turns that heat into electricity so you can power things like lights or charge your phone. I really love the idea of this thing and I am going to put an order in for one today. That said, I have no real need for a camp stove, but this is so cool I am going to invent a reason to have one. If I end up spending another winter up here in the mountains, this may come in handy (along with the generator) should a storm take out electricity for a while. I can take my BioLite Stove outside, heat me up some Dinty Moore Beer Stew and charge my iPad – what else does one need? 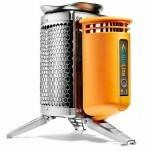 Check out the BioLite Camp Stove here. Find out more about BioLite and their global mission here. Summer is officially over as of like 10 a.m. last Saturday morning. Which means it is officially fall in the northern hemisphere and the march to the long cold winter ahead continues. The good news is also the first Wednesday of spring in the southern hemisphere… say, like in Argentina. The other day, I posted about my hasty harvest on the news of a frost warning. I made a mistake, it was not a “frost warning” it was a “freeze warning” – rookie mistake but as a freeze is more damaging to plants than a frost, I made the right decision in trying to save as much of my bounty as possible. 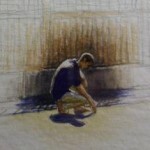 Meanwhile, I was thrilled to have had an email exchange with artist Greg Stones, whose work I recently purchased and posted about the other day. Upon ordering a couple of prints off of his website, I was surprised to receive a follow email from the artist himself. Very cool. Mr. Stones is definitely my favorite artist now. I have been dragged into enough Coach stores and outlets over the years to know that I am not a big fan. 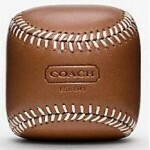 I know there are Coach fanatics, I know a few, but I think I am not that fond of women’s leather products. My love of baseball, fine leather goods and desk accessories come together as one and I love it. See all the products Coach offers here. I promise my tiresome reminiscences of my vacation are coming to a close soon. However, I am still basking in the post-vacation light and want to make that last as long as I can. 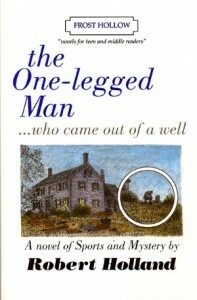 Which brings me to today’s Weekly Read, The One-Legged Man …who Came out of a Well by Robert Holland. In the weeks leading up to the trip, my friend Lynda and I thought it would be fun if everyone on the trip read the same book, so we can have a rolling book club type of discussion and have something to share. We toyed around with many titles from classics (Dickens, Dumas, Bronte made the short list) to mid-century compilations (Dylan Thomas was the frontrunner) to contemporary books (there were many options). However, a stop at Titcomb’s Bookshop in East Sandwich, MA on our meandering trip to Wellfleet changed everything. It was there we found The One-Legged Man …who Came out of a Well by Robert Holland after browsing the “young adult” section for a while. We thought a book aimed at younger readers may be more accessible and better suited to casual vacation reading. We were attract to the book by the promise of a mystery with a baseball subplot – two things we all liked in a story. Let me say out the outset that not all our traveling companions read the book, and of those who started it, no one finished it. I finished the book in short time after returning home. I found it hard to read it on vacation where I felt I was competing with my co-readers. That said, the idea of reading a common book was a good one and we selected a book I would have never picked up otherwise and enjoyed it. After reading the book, I tried to do some research on its author, Robert Holland. I was shocked to find out that the book was not available on Amazon. I believe this is the first time I ever looked for a book that was not available in some form on Amazon. It would appear the Mr. Holland, and his publisher, Frost Hollow Publishers, are one in the same. Or at the very least it is a boutique business that markets the author’s books exclusively. According to its website, Frost Hollow Publishers “specializes in books that boys will read, and is the only publisher producing novels aimed exclusively at boys. All you have to do is try one and your school book report worries are over.” An admirable pursuit indeed. Meanwhile, the book itself? I enjoyed it for what it was – a book aimed at young readers. It reminded me of the Hardy Boys books I devoured when I was young, which is not a bad thing and it provided a nostalgic aura. Aside from a petty annoyance of the narrative sounding like an old man trying to provide a voice for a young protagonist, the story was entertaining and enjoyable. The One-Legged Man …who Came out of a Well by Robert Holland is available directly from Frost Hollow Books and small retailers like Titcomb’s Bookshop in East Sandwich, MA. I am not much for cologne. Although I like the whole mid-century men’s grooming thing, I never took to the old school aftershave or cologne thing. I am stuck in a weird place between my signature fragrance of the mid-90s, HUGO by Hugo Boss and the omnipresent Axe Body Spray. The former being something I still splash on for special occasions and the latter being somewhat of a guilty pleasure I use more often – channeling my inner 15-year old. However, I have come across a couple of fragrances I wanted to comment on. 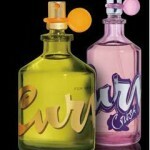 First, I really like the Curve line of fragrances. It is a nice, moderately priced fragrance that is pleasant and a cut above the drug store body spray, although it is readily available at retailers such as Target. 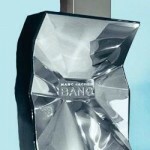 The other fragrance I wanted to mention is slightly more upscale, Bang by Marc Jacobs. I first came across Bang a couple of years ago at the Marc Jacobs shop in Provincetown, MA on the tip of Cape Cod. My friend Lynda tried some on and made me try some as well. 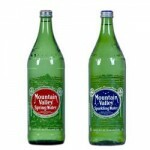 It was very nice and I bought a couple of bottles – one for her (although designed for men) and one for myself. I put a little Bang on every now and then and the smell reminds me of the day we found it. 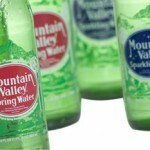 Also, as a design wonk, both of these products have cool bottle designs. See more about Curve here. Read more about Marc Jacobs’ Bang here. I guess it is a bad thing when something is so well designed or looks so good that you are afraid to use it for its intended purpose. I think about the grandmother’s sofa encased in plastic so it doesn’t get ruined in case the Pope stops by for a visit someday. I love how a good area rug can really transform a room – and I have seen some in my day that would work just as well on a wall as art as it does on the floor. 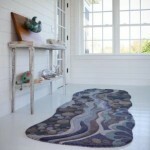 The area rugs I have found designed by Maine-based and Maine-inspired designer Angela Adams definitely fall into the “too nice to walk on” category. See all the Maine-inspired designs of Angela Adams here. One of the nice things about returning to the same vacation spot – like Wellfleet – year after year is stopping in to visit favorite shops and galleries. There is no more favorite shop in Wellfleet than the wonderful Jules Besch Stationers. Jules Besch is more like a museum of cards and stationary than a store and it is perfectly curated. Only the finest products are presented at Jules Besch and the result is a wonderful experience from the minute you walk in until the second you walk out the door. A typical visit includes a chat with the shop’s owner (and master curator) Michael, who can always be counted on for a story about his merchandise and amazing collection of stationary and desk-related collectibles. I love Fodor’s review of Jules Besch: “Jules Besch Stationers has extraordinary cards, fine stationery, journals, papers, and pens. Proprietor Michael Tuck’s warm and welcoming nature is as beautiful as his products.” That pretty much sums it up. Among the great products Jules Besch offers is the wonderful line of letterpress items from Albertine Press which includes greeting cards, note sets, and journals. I love all of the products from Albertine, especially their line of mini travel journals featuring a letterpress image of the world’s great cities. Albertine Press products are sold mostly through fine retailers (find a store here) with a limited selection available via their own Etsy shop. Find a store selling Albertine Press products here. 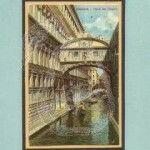 Browse Albertine Press’ wholesale catalog here and see all of their great products. Also on hand at Jules Besch is a nice selection of cards from LeClair Handcrafted Cards – which are just lovely. Checkout LeClair’s line of cards here. I am generally not one to spend most of my vacation shopping (despite what the posts here make it look like) but I just love visiting the special shops, like Jules Besch, that make town like Wellfleet a vibrant and fun place to visit. 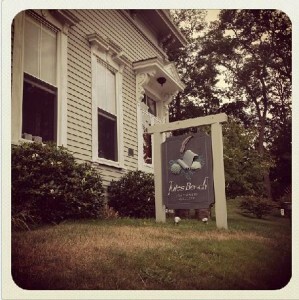 Jules Besch Stationers is located at 15 Bank St., Wellfleet, MA. Learn more about Albertine Press here. Learn more about LeClair Handcrafted Cards here. Lost Cowboy is powered by	WordPress 5.0.4 and delivered to you in 1.021 seconds using 58 queries.